Updated 12-31-2018 - Version 5 of the mod now supports game versions 1.47.49 (November 13, 2018) or higher. Be sure to remove any older version of the mod from your mods folder when updating! Older versions of the mod are no longer supported and have been removed. Tired of finding your sim wearing their ugly work outfit hours after returning home? 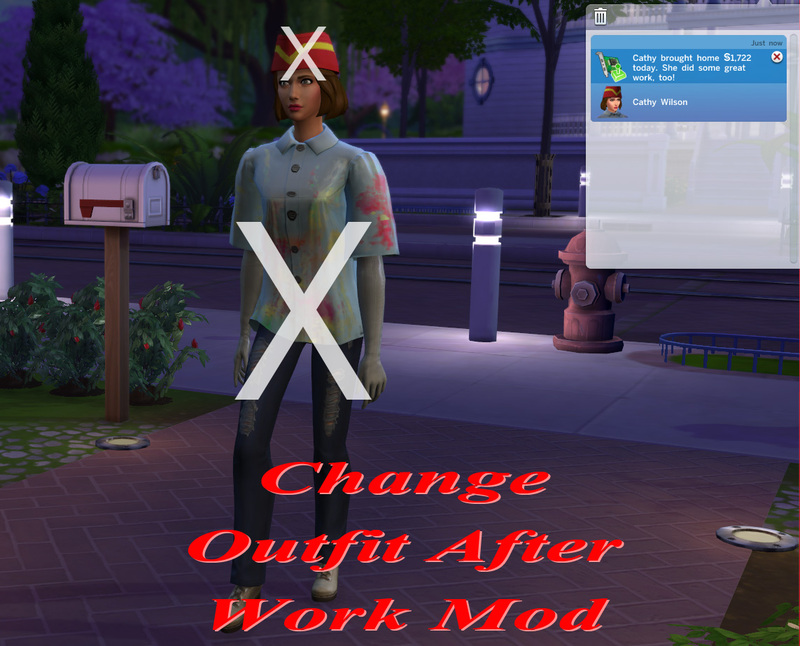 This is a script mod to make sims automatically change to their first everyday outfit when returning home from work (or school). 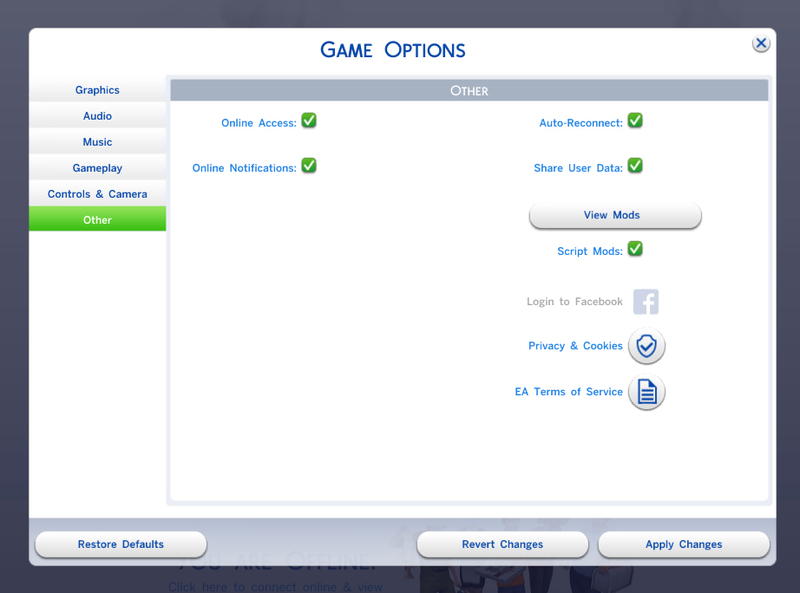 Extract the ts4script file from the downloaded zip and install it into your mods folder. As a script mod, it cannot be installed more than one subfolder deep. This is a script mod, so scripting must be enabled in your game options. The script source is included in the zip file. All of the brilliant people who have worked on getting the game's base scripts decompiled. Thanks to Fetusdip for his reload script to make testing a whole lot easier, and Scripthoge for the Python script injection routines required to make this mod possible.